Yeah! It’s time to announce some prize winners! I like this post almost as I love seeing what the next Project QUILTING challenge is! Congratulations to Christina Belding with her quilt “Seasons of the Sun”! Christina will be recieving a mini thread box from Aurifil and her very own set of Project QUILTING pins! I miraculously had all three of my lovely ladies home with me when I needed the prizes winners chosen for this week. Let’s see who they picked to win! The Gift Certificate will be good for 4 months starting one month after the challenge ends. Excluding the Month of December for using the gift certificate. The quilting gift certificate is transferable to another person, so you can share it with a friend, if you’d like. Marcia will do an estimate based on the size of the winner’s quilt top, quilting choices, thread choices, and batting and if they would like to purchase backing fabric from me. Winner can send backing fabric and batting with their quilt top, but I do have it available. This way the winner will have a good estimate of the value of your quilting prize. Marcia would also like to giveaway to a separate winner a prize of one of her original patterns(value $8.00). 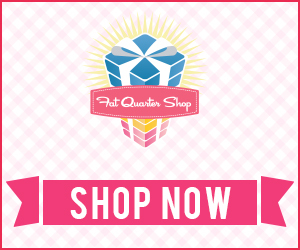 One lucky winner will be recieving a mystery prize from the Fat Quarter Shop this week! Ooooh … I love a good mystery! A mini thread box from Aurifil!!!!! Melissa of Sew BitterSweet Designs is generously offering a free pattern for each Project QUILTING Challenge of your choice from her Craftsy Shop! 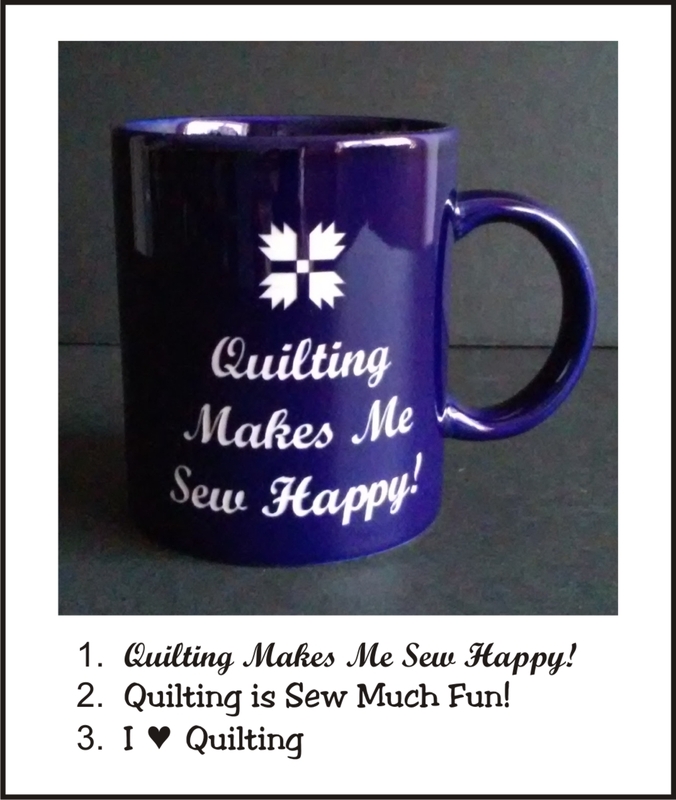 Donna of the Sign Post is donating one dark blue mug with a quilt saying sandcarved into it for the second Project QUILTING challenge. The winner gets to choose from the three sayings listed in the picture. From our mystery sponsor – a fun Free Spirit Charm Pack! And from Persimon Dreams … a Studio e Small Talk Charm Pack! Congratulations to all of our winners and a huge thanks to all of the amazing support these sponsors have given us! Prizes for the next challenge are posted here and the just over 15 hours the next Project QUILTING Challenge will be posted! Oh thanks so much! What a fun surprise!